It’s serendipitous, I believe, that the first lyrics to be sung during the first official engagement at Manhattan’s new Birdland Theater are from Irving Berlin’s “There’s No Business Like Show Business.” The choice of this song supports the idea that the 100-seat room will be more aligned with a Broadway sound and sensibility than with the cool, often blue notes wafting upstairs in the legendary jazz club. 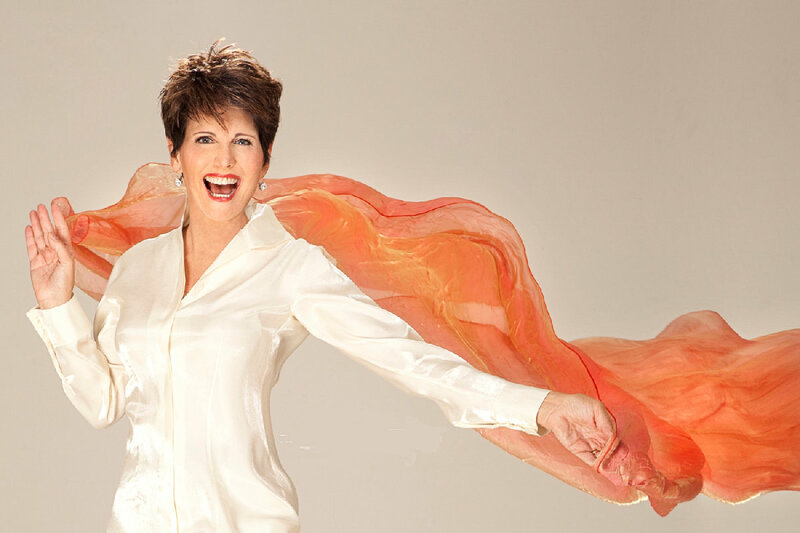 Lucie Arnaz, the performer singing the lyrics of Berlin’s famous anthem, hails from the center of the mainstream American entertainment complex. Her parents, Desi Arnaz and Lucille Ball, were not only show people in real life, they also gained fame on television playing fictional characters who were performers: the Cuban bandleader Ricky Ricardo and the ever-eager aspirant to celebrity Lucy, née McGillicuddy. I Love Lucy gave mid-20th-century Americans a fairy-tale notion of what a Manhattan nightclub performer’s life was all about. On Here’s Lucy, a subsequent Ball series, Lucie and brother Desi, Jr. appeared with Mom. On that show, Arnaz sharpened her acting, dancing, and singing skills. In the years that followed, she made her mark as a performer in musical theatre. The last time I saw Arnaz perform live was when she appeared in a national touring company of the Broadway musical Seesaw, way back in the summer of 1974. I’d played the cast album to death, largely because of Michele Lee’s powerful vocals. But Arnaz—on her stop in Portland, OR—sounded every bit as sensational as Lee. She was one of the singers of that era with a belt so potent, that on certain numbers it made the microphone seem a vestigial structure. Early on in her Birdland show, she sings one of the best numbers from Seesaw: “Poor Everybody Else” (Cy Coleman, Carolyn Leigh). She has lost none of her vocal prowess in, lo, these 44 years. She’s named her show I Got the Job! – Songs from My Musical Past. And it is, indeed, an all-show-tunes-all-the-time affair. She does a lot of hearkening back, even to the early days when her mother had a miniature Broadway stage built for her, complete with its own box office. Arnaz shares memories of everyone from Vivian Vance to Tommy Tune to Marvin Hamlisch. She recalls starring in Annie Get Your Gun in the rain (and among flying insects) at the outdoor Jones Beach Theater; frantically dealing with last-minute song changes during the tryouts for Broadway’s They’re Playing Our Song; and more recently, directing a workshop for a stage-musical version of TV’s Hazel, with songs by her longtime musical director, Ron Abel (and his collaborator, Chuck Steffan). She has a brassy and sometimes ribald comic delivery, one that may take some audience members a while to warm up to. Unsurprisingly, she features several flamboyant ballads in the course of the set. During a sensual “I Got Lost in His Arms” (Berlin) she wraps her arms around her own torso as though trying to recreate a lover’s embrace. 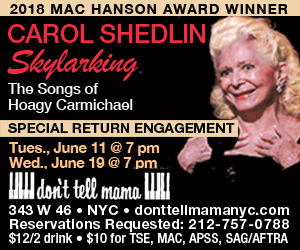 But she stays regally still—with hands in lap and throb in voice—during most of her enthusiastically received performance of “I Still Believe in Love,” the torchy turn that songwriters Hamlisch and Carole Bayer Sager had so much difficulty with during They’re Playing Our Song‘s tryouts. One might think she would want a sizable musical combo, especially for the opening of this new space. But she is backed solely by Abel (at piano). The two have a lovely rapport. Bass, percussion, and other musical accompaniment are not missed. As for the Birdland Theater’s debut, I found the room to be comfortable, unassuming, and welcoming. It’s a fine addition to Manhattan’s cabaret real estate.